Perfect for puddle splashers aged 2-6 years (size 8-12), Hunter Little Kids boots will take them from those first days of playschool fun to exciting playground adventures. 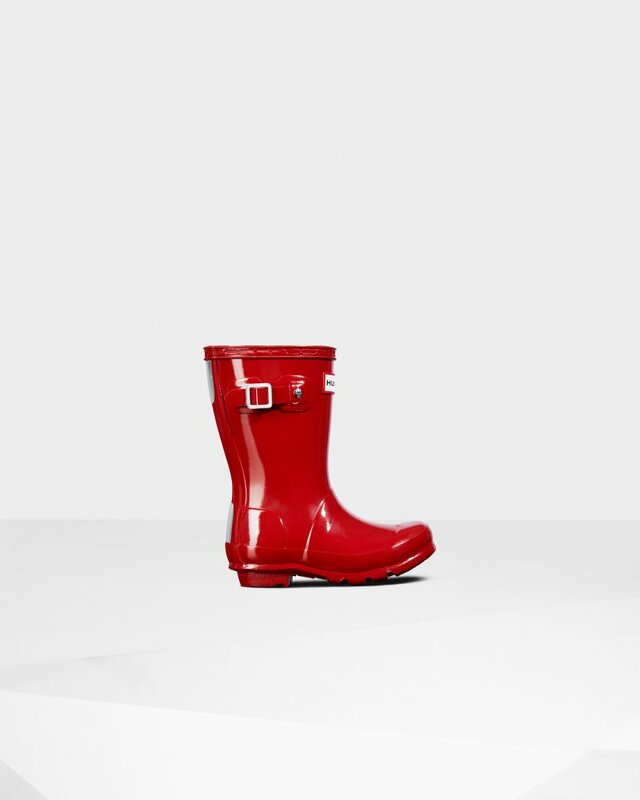 A mini version of the iconic Original Tall Boot, the Original Little Kids Gloss Rain Boot is a dream for tiny feet. This bold red boot is handcrafted from natural rubber with a glossy finish. Designed for adventures, our specialized kids rain boot are highly resistant to wear and abrasion with a polyester lining for comfort. Reflective patches and the Hunter Original tread offer added safety so you can be confident letting them take on the elements whatever the weather.